Hockey players are a unique bunch of athletes, as they're one of the few athletes out there that aren't wearing shoes during their sport. Skating, in itself, is a unique skill that takes a lot of time to get good at. It's not like running, as in order to skate with power, you have to push back and out. It's a different motion all together. Hockey is also a sport that requires the player to be in a forward bending position for much of the time the player is on the ice. In order to accelerate to faster speeds, the player needs to bend forward to optimally reach those desired speeds. Lastly, a hockey player uses a stick, which to shoot or pass, you need a certain type of rotational strength to generate a harder shot or pass. These are just a few things that need to be considered when developing a program for a hockey player, let alone someone that's just starting a strength training program. So keeping those things in mind, here's a workout for someone just starting out with weight training. Hockey players need explosive power, especially when they skate. From a stopped position, a player needs to be able to explode and accelerate to top speeds as fast as possible in many situations on the ice. That's where a power exercise comes in. For someone starting out, Olympic lifts aren't exactly a smart thing to start with, as it takes a lot of coaching to get the movements down. Instead, plyometric exercises are a perfect alternative to developing power. A box jump or a bound are excellent plyometric exercises to generate power in the lower body. With a box jump, you're going to need a 12" box or something similar to jump up to. Start in a position where you're low, sitting back, with your arms back. You're going to explode up to the box and land in a way where you absorb the landing and finish in the same position you started in. A bound requires you to start in the same position, except that you're going to jump forward as far as you can on a flat surface and landing in the same fashion. To start out, try 2-3 sets of 5 jumps. Upper body strength is huge for hockey players, as shot power, as well as being able to move bodies out from in front of the net are must have attributes a player needs. A basic pushup is all you need. Just because fancy equipment isn't involved, don't think that you won't get awesome results. There are some athletes that can bench press incredible amounts of weight that can't do 10 proper pushups in a row. Make sure your head faces straight down at all times, your core is braced, back is straight, and your elbows are at a 45 degree angle to your body. Don't flare your elbows out as it can cause shoulder problems. To start out, try 3 sets of 10-15 reps. Same as the pushing exercise, upper body strength is huge in hockey. An inverted row is an exercise that can help counter all the forward pushing and bending over that a hockey player does. Too much pushing can give you a hunched over look, which you don't need. Set up a horizontal bar that's about hip height. Get underneath the bar so that you're looking up at the ceiling. Grab the bar with both hands just past shoulder width. Pull your chest towards the bar until your elbows reach your side. Make sure to keep a flat back throughout the movement. To start out, try 3-4 sets of 10. Skating is performed by pushing off one skate at a time, so single leg exercises are very beneficial and carry over very well to the ice. Try forward and side lunges with dumbbells in each hand. When you step forward, your back knee will touch the ground, while your front knee should be just over top of your ankle. If your knee is drifting too far over your ankle, you'll end up putting too much pressure on your knee. Side lunges are a very functional exercise for hockey players as it replicates the skating motion when you push off to the side. To start out, try 3 sets of 10 reps with each leg. 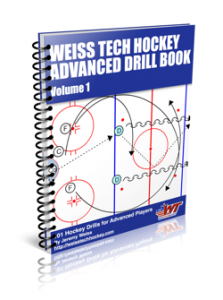 That's all you really need to get started with a strength training program if you're a hockey player. Of course, when you get better at those movements and feel like you're ready to progress, other more advanced movements can be added into your workouts. A huge point here is that you're being safe in your routine and not trying anything you're not ready for. I think each and every athlete undergo to some beginner's strength training before becoming a full-pledge player. They need to know upto what extent they could use their strength during the game, of course coming with this training is the complete equipment they will be using upon playing live. Great comments and you hit the nail on the head. "They need to know upto what extent they could use their strength during the game". I think all too often players are told 'Do this' but have no understanding of why or how it helps them in a game/practice situation. This is a nice post. I like how it's kept simple and relates directly to the requirements of hockey. 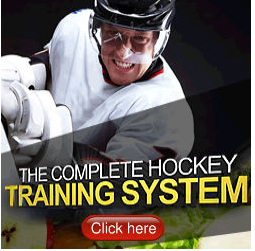 I've only recently taken an interest to it and I was looking for such workout routines that I could do off the ice. I've signed up for a hockey camp to be held soon and I wish to improve my fitness to a higher level before taking part in it. Thanks for all these posts. They are a wealth of information especially for amateurs like me. Summer is just around the corner, so why not start working out now? All you have to do is click Healthline to get useful advice! In the meantime,Click here you will likewise run over those that flopped out appropriately to convey on their guarantees and they may even build your odds of creating cardiovascular infections and other related diseases. Online Pharmacies will spare you a ton of cash on Sexual Health Products, Feminine great site Hygiene Products and Family Planning things. You can get all the brand name Sexual Health Products at a Pharmacy Online as you could at an ordinary store.